How to make a budget that actually works for saving money and avoiding debt. Budgeting used to be a huge hassle, either sitting down with pen and paper or pulling out a spreadsheet. But these days, technology makes budgeting infinitely easier. You probably have access to a range of free tools that can help you track your spending daily. 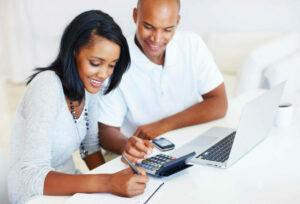 The right budgeting tool can help you save money, avoid debt and maintain financial stability. The information in this section will teach you the basics of budgeting. These tips generally apply, no matter what type of budgeting strategy or tool you use. If you have questions or need help balancing your budget because of debt, call 1-888-294-3130 or request a consultation online. What should a personal budget include? Income isn’t just limited to money you receive from paychecks. It can also include government benefits, alimony or child support, and even returns on investments. Every budget also has three basic types of expenses. Fixed expenses and flexible expenses are both necessities. But fixed expenses have a set cost that stays the same every month, like mortgage or rent payments and insurance. Flexible expenses are also necessities, but the cost varies month to month, like for groceries or your electric bill. Discretionary expenses cover your wants. They also tend to have costs that change from month to month, but not always. For instance, a Netflix subscription has a consistent cost, but it’s not a necessity. A good budget should always keep wants separate, so it’s easier to cut back if you see you’re overspending. This video teaches you how to break up your daily transactions by the three types of expenses so you can budget effectively. Most budgeting tools don’t break up purchase by those three types of expenses. Instead, they categorize your expenses. So, the tool may automatically separate out food transactions and fuel transactions. Categories of expenses can be helpful for setting target spending limits. But you should still keep types of expenses in mind. For instance, we recommend dividing your food budget into two separate categories: groceries and dining out. Groceries are a flexible expense because food is a necessity. But eating out is a luxury and tends to cost more. So, if you make dining out a separate category, you maintain a budget that keeps your needs and wants separate. 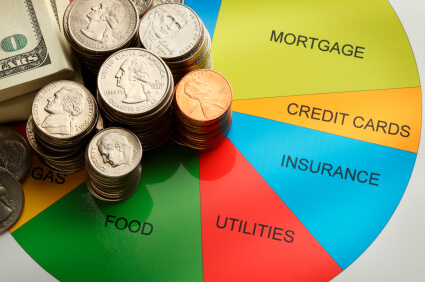 In order to maintain financial stability, you should only spend about 75% of what you earn. Your income-to-expense ratio should be 1.25 or greater. Learn how to calculate your income-to-expense ratio so you can keep your budget balanced and avoid credit card debt. Divide your total monthly income by your total monthly expenses. If the ratio is less than 1, it means you spend more than you make and your financial house may fall behind because it’s too big for its foundation. In most cases, you want to achieve a ratio of 1.25 or greater. This means you spend less than 75% of your income, which leaves 25% of your income as free cash flow in your budget. Some of your cash flow can be converted into savings. This helps you increase the amount you dedicate to save, so you can have a robust, solid saving strategy that supports your goals. 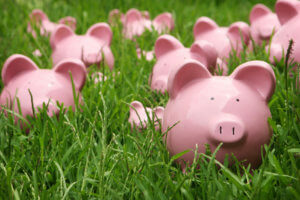 Ideally, savings should be treated like a regular reocurring expense in your budget. This means savings gets housed with the rest of your fixed expenses. Aim to save at least five to ten percent of your income each month. If you live paycheck-to-paycheck, talk to a certified credit counselor today for a free debt and budget evaluation. Personal budgeting only works if you use it consistently. 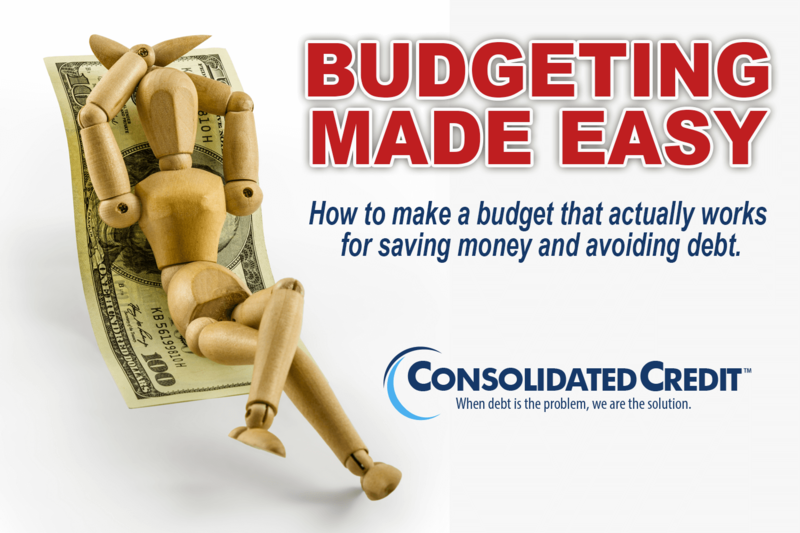 If you make your budget and then ignore it, you will probably overspend. Overspending usually leads to credit card debt, because you pull out the plastic to cover gaps in your budget. Budgets are not set in stone. In fact, they fluctuate throughout the year and as you needs change. This means you need to regularly adjust your budget to suit your needs and seasonal expenses. You also need to adjust your budget anytime there is a change in your financial situation. If you lose your job, get a raise, take a pay cut or add a new expense, you should revisit your budget. That way, you can adjust it accordingly and maintain financial stability. Learn how often you should check your budget and how to make annual and seasonal adjustments so you can stay on track! One mistake that people often make in budgeting is how to treat savings. Some people think savings is the same as free cash flow – i.e. you save whatever you have left at the end of the month. But this is a good way to never save anything! Instead, you should treat savings as a fixed expense. You see how much you can afford to save each month – ideally, 5-10% of your income. Then you set that amount as a fixed expense. It’s like a bill that you pay yourself each month. If you keep that 5-10% separate from the 25% of your income that you maintain for free cash flow, you protect your savings. This ensures that you don’t drain your emergency savings each month on those unexpected expenses that inevitably come up. Another way budgeting helps you is by making it easier to manage debt. 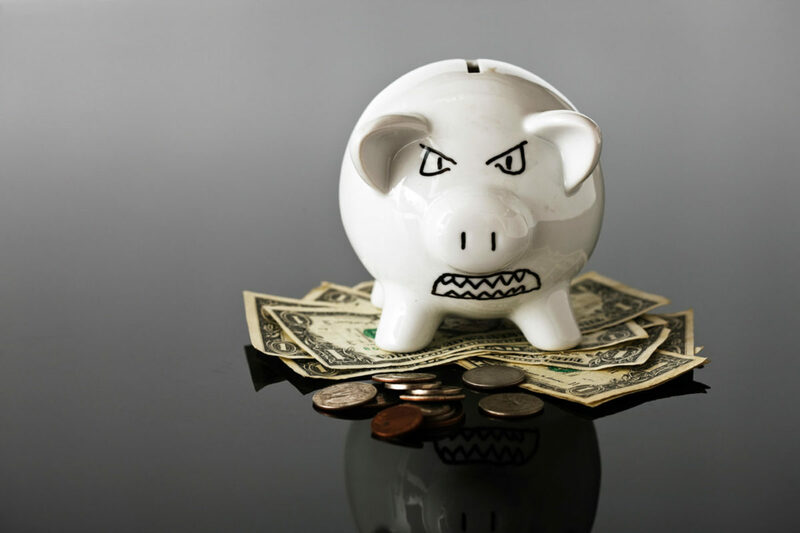 Debts generally fall into one or two categories, depending on your financial situation. Debts like mortgages and your car payment are always fixed. But credit card debt can be fixed or flexible. If you pay off any charges you make in-full every month, it tends to be a flexible expense. However, if you have balances to pay off, it’s often better to make the payments a fixed expense. Learn how to use your budget to strategically manage debt, particularly when it comes to paying off credit card balances that you carry month to month. Credit card debt causing problems for your budget? We can help! There are plenty of ways that you can gain access to good budgeting tools for free. 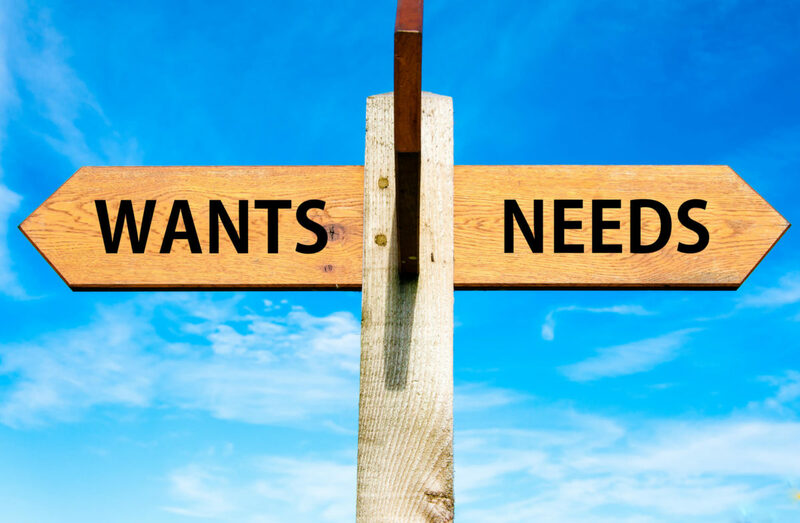 Or, if you prefer, you can pay for software or an online platform if it suits your needs. Check your checking account first. Many banks and credit unions offer a free budgeting tool as part of their online and mobile banking platforms. This can be beneficial, since it’s already integrated with your main account. Look online or in your app store. There are plenty of free budgeting tools available online or in the app store for your favorite mobile device. Just make sure they’re well-reviewed and secure, since you will need to link it up to your financial accounts. Use desktop budgeting software. If you’re concerned about the risk of unauthorized access online, find a budgeting software for your home desktop. This will help you budget without increasing your risk. 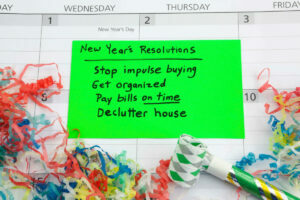 Special events throughout the year, like holidays and vacations, have a way of busting your budget. One-off expenses, including gifts, decorations, party planning, and travel can quickly stack up and lead to overspending. These expenses often end up on high interest rate credit cards, increasing the balances you need to pay off. Creating spending plans for these special events can help you avoid overspending and excess credit card debt. Valentine’s Day is the third most expensive holiday for most consumers (after Christmas and Mother’s Day). The average Valentine’s Day shopper shells out almost $150 to spread the love. Our Valentine’s Day Spending Planner can help you stay on budget. 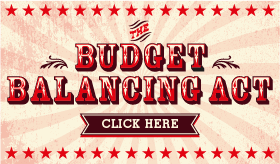 We’ve helped millions of Americans balance their budgets to achieve financial stability. Now it’s your turn! I was up to my eyeballs in debt my first year out of college and didn't know where to turn. I had multiple cards, including major credit cards, store cards, etc and they had high interest rates. I saw a commercial for Consolidated Credit and decided to call. The professional who took my call explained the plan in detail and how long it would take me to recover. He also gave me hope that life could still go on after the process and my credit would look even better! Well, its 3.5 years later and I have completed the process!!! I am so happy to be debt free and have learned a major lesson about budgeting, how to properly use a credit card and how to monitor my spending! Thank you Consolidated Credit!!! Approximately three years ago, my husband and I were in a lot of financial debt. We had multiple collections, lots of little accounts, and other bills that became too overwhelming to manage on our own. Consolidated handled all of our accounts and managed to reduce our minimum payments, almost eliminated all of our interest, and ultimately helped me to pay off all of my debt. 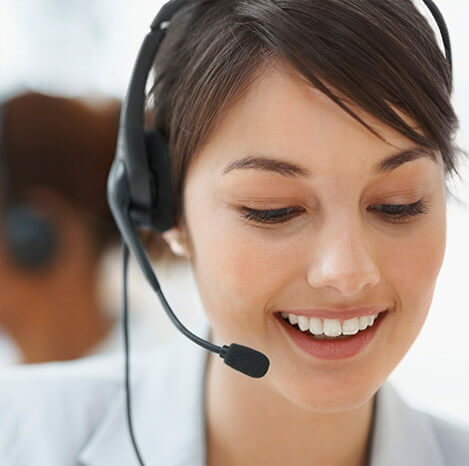 They were professional and friendly throughout the entire experience. Three years later I am happy to announce that we are debt free and we just purchased our first home! We could not have done it without Consolidated! I would recommend them to anyone who is feeling overwhelmed by their finances. Thank you! College students don’t usually take the time to budget. That’s a mistake, especially if you have a credit card with you during your school years. It’s easy to forget how much you’re spending if you don’t keep a budget and track your finances. That’s how college students fall further into debt and end-up not saving money for the future. With the unruly nature of our economic times it’s wise to get your kids involved with budgeting. Teaching your children the value of a hard-earned dollar and understanding the consequences of overspending, are valuable life lessons that can carry them through their lives. Budgeting will give them the groundwork they need to begin a life of sound financial decisions.